Franklin Theatre - Deacon at the Franklin: Charles Esten Sings the Songs of Deacon Claybourne - SOLD OUT! 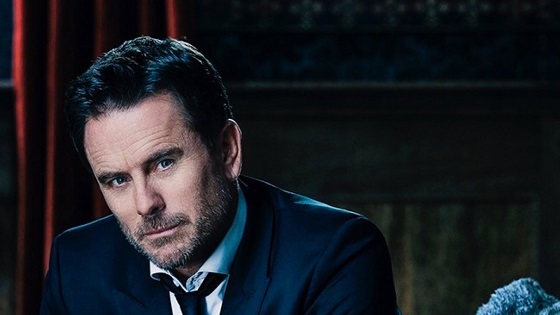 Deacon at the Franklin: Charles Esten Sings the Songs of Deacon Claybourne - SOLD OUT! Born in Pittsburgh, PA, Charles “Chip” Esten grew up in Alexandria, VA. After starting his acting career in Los Angeles, he was pleased to make his theatrical debut in London, portraying Buddy Holly in the hit West End musical “Buddy.” In that role, he was honored to perform for H.R.M Queen Elizabeth and then, for President and Mrs. George H.W. Bush at both The Kennedy Center and The White House. Esten currently stars in the hit television series “NASHVILLE” in the role of Deacon Claybourne. While on "Nashville”, Esten has been honored to perform at the Grand Ole Opry, the historic Ryman Auditorium, the Blue Bird Café, headlining a St. Jude Country Music Marathon Concert at the Bridgestone Arena, and performing on the CMA Fest Riverfront Stage, at the 2016 C2C Festival in London and the 2017 CMC Festival in Australia. In addition, he has starred in the 2014, 2015, 2016 and 2017 “NASHVILLE in Concert” tours with sold out shows across the US and the UK. He is a featured artist on the ten very successful "Nashville" soundtracks that have been released to date, two of which include “I Know How to Love You Now” which he co-wrote with Deana Carter. Esten has long contemplated releasing an album or an EP of his originals. Last summer, he decided that instead, he will be releasing brand new singles “every single Friday.” The #EverySingleFriday series began in July 2016 and Esten will be celebrating the release of 52 original singles in July 2017. He is proud to serve as the National Light the Night Walk Honorary Chair for the Leukemia and Lymphoma Society. Esten and his wife have two daughters and a son.